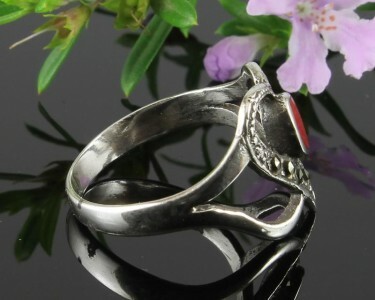 We have reduced this item to cost due to minor and hardly visible shop damage to the silver on the band. 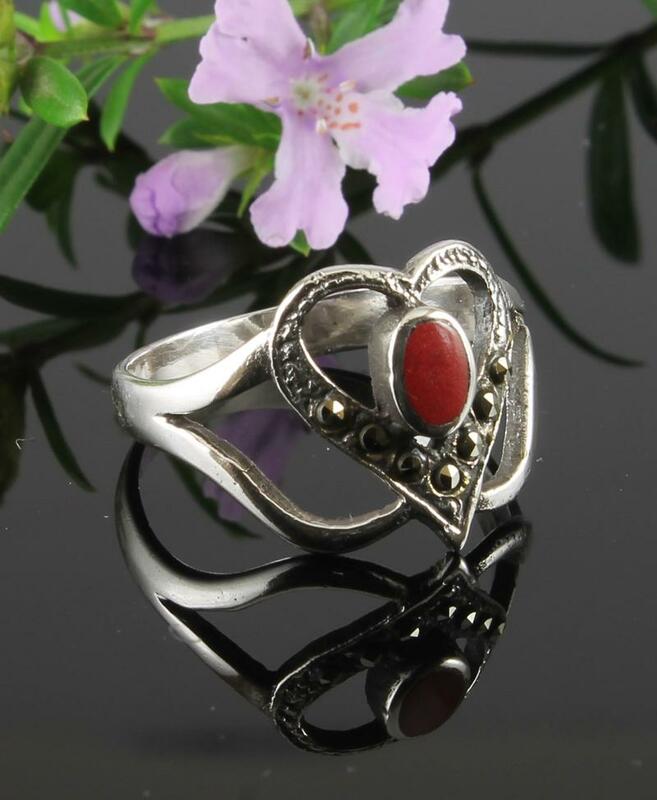 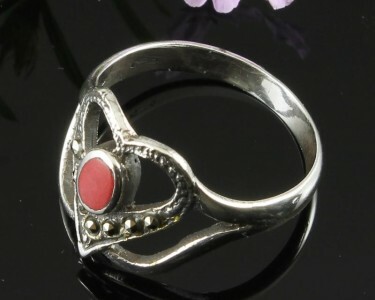 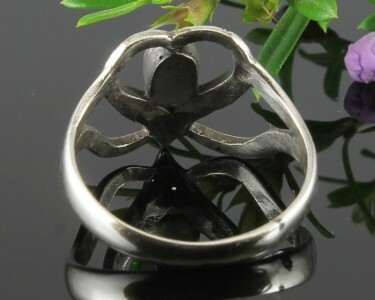 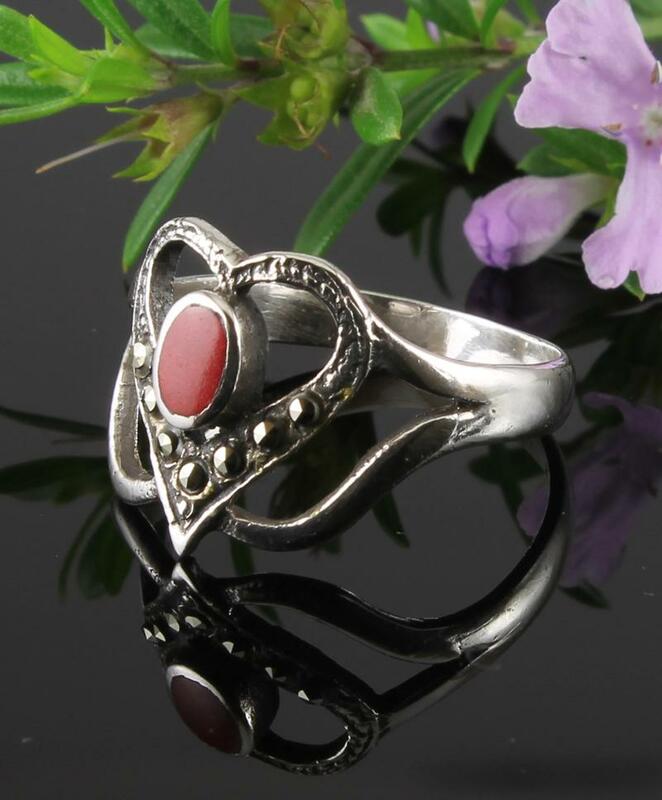 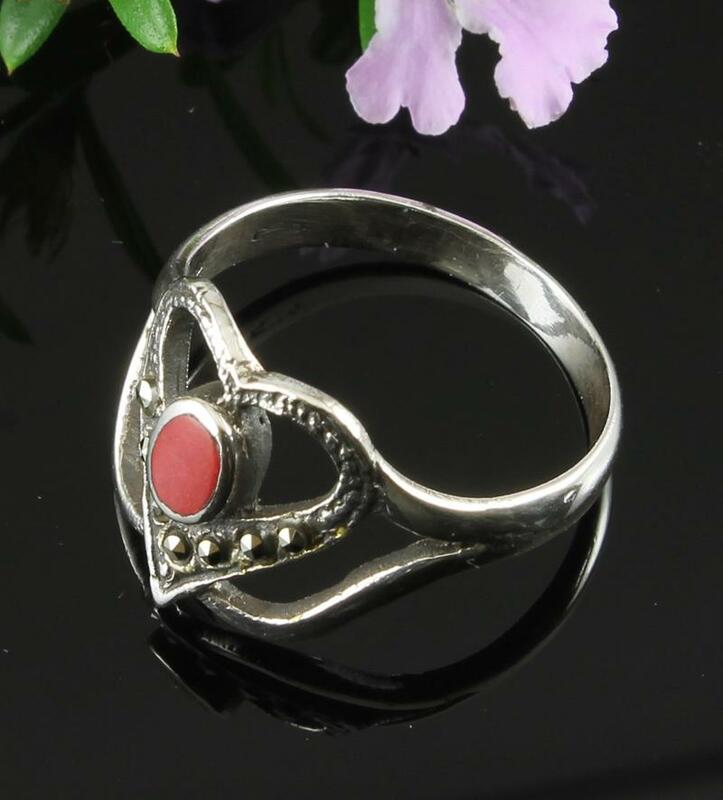 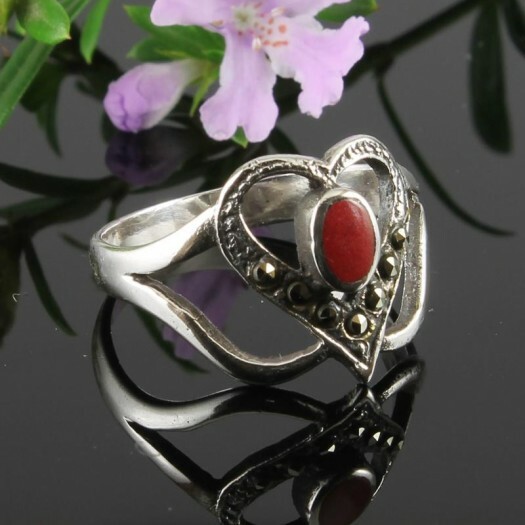 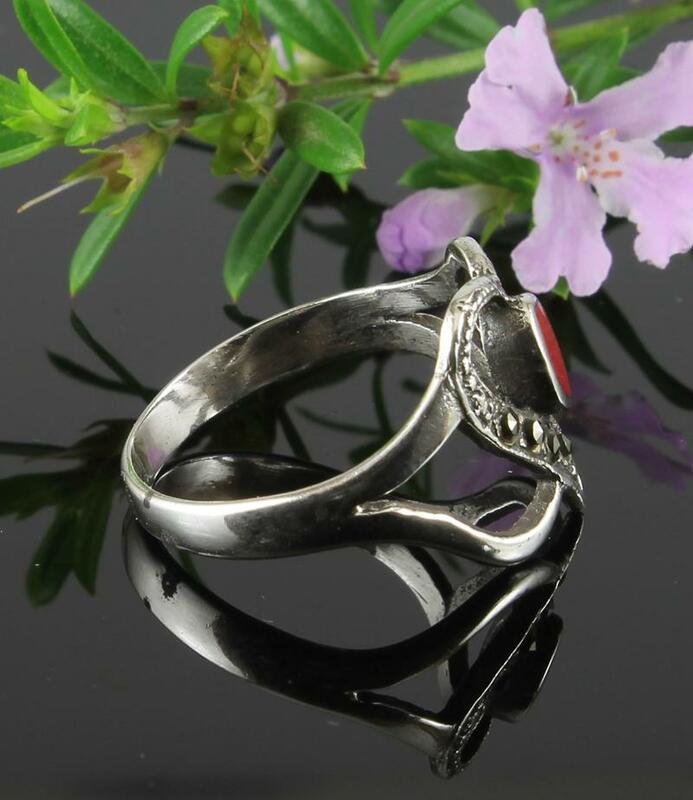 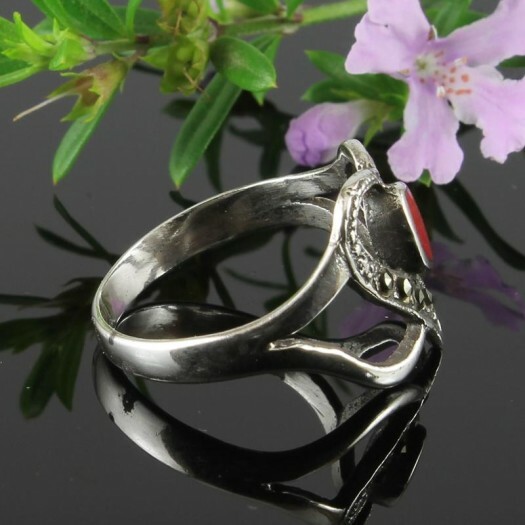 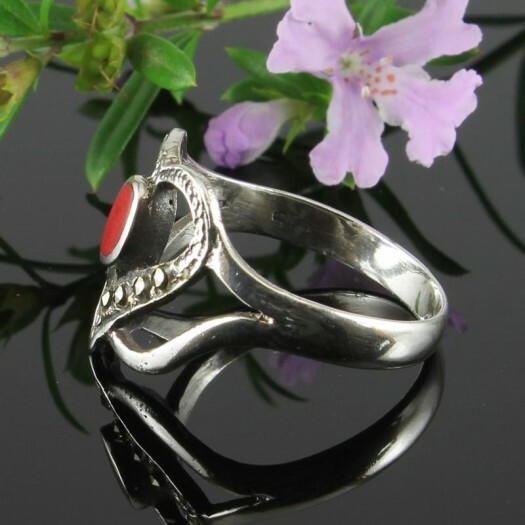 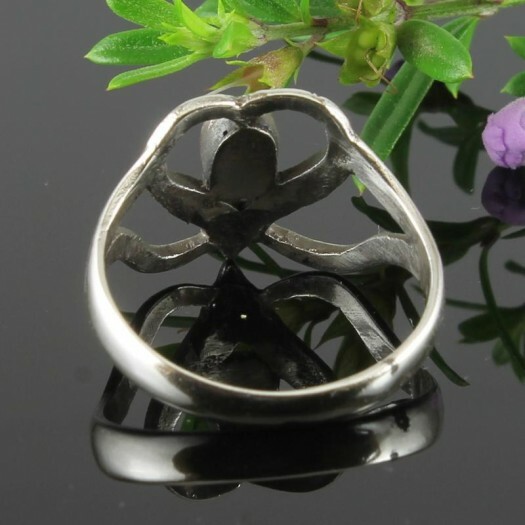 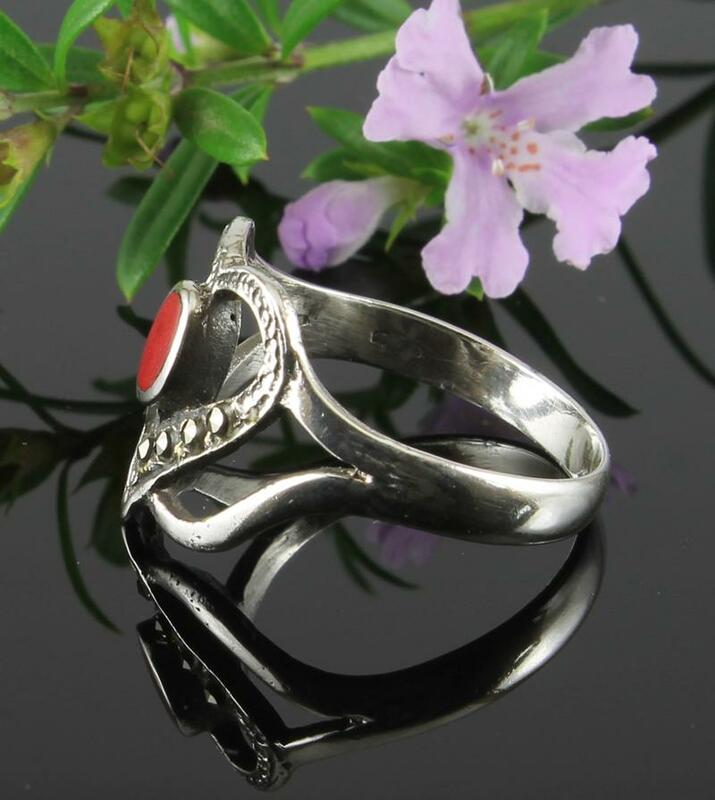 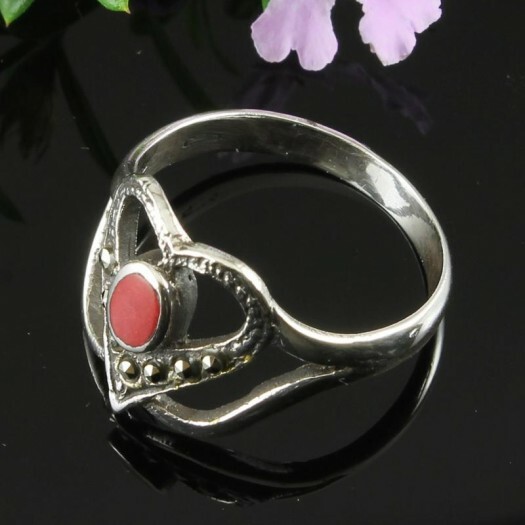 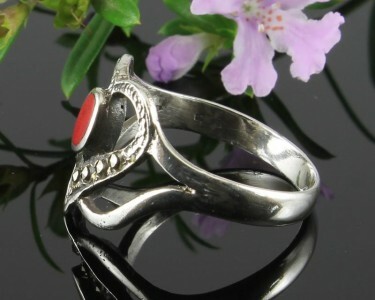 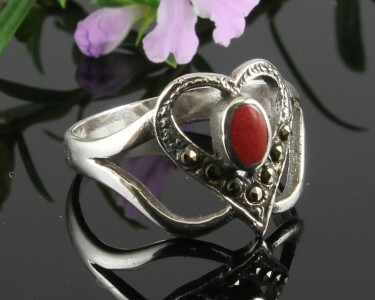 A unique, classically-designed, vintage-style ring with a small red Garnet oval, bezel-set centrally in an openwork Marcasite and Sterling Silver heart, with split shoulders and a D-shaped Sterling Silver band. 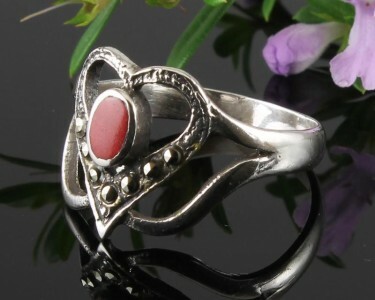 Wear It With : Evocative of the glamorous 1940s, and very reasonably priced, this wonderful vintage-style piece is sufficiently subtle to go with most of your outfits. 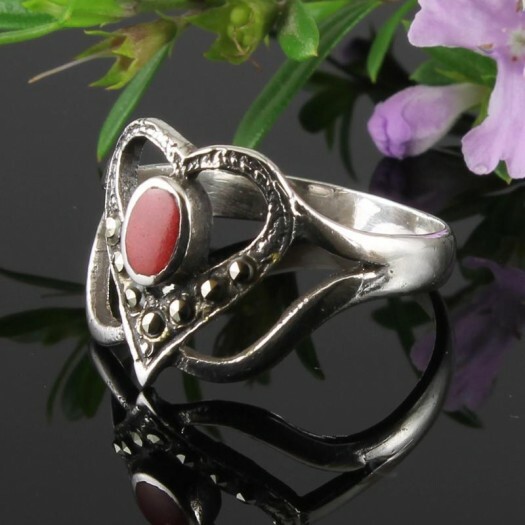 Nicely match your other Garnet, Marcasite, and Sterling Silver jewellery.